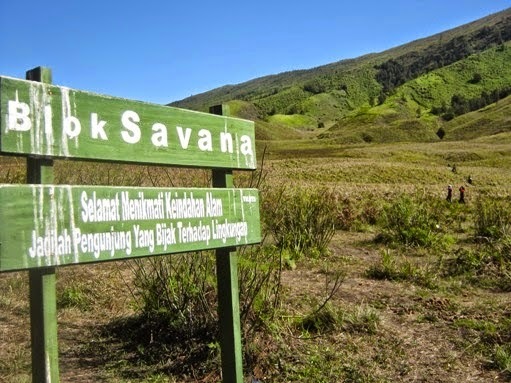 I share the beauty of savanna at the Bromo National Park (East Java, Indonesia) as a bad thing is happening there now. 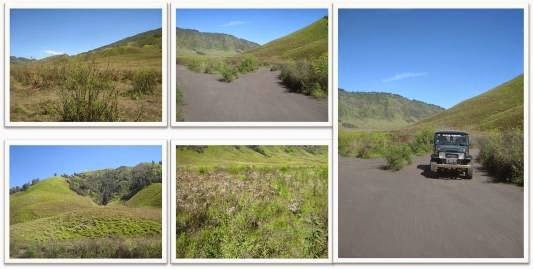 Since the last three days, the savanna and forest on the slopes of Mount Bromo are on fire. Based on the latest news, the fire has reached more than 400 hectares. 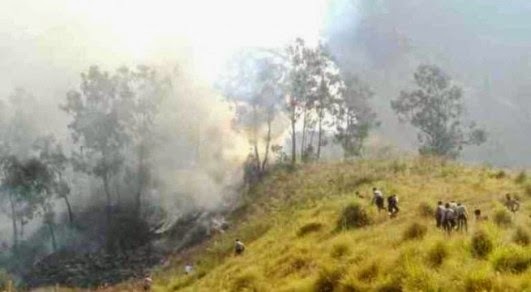 Fortunately, the fire didn’t lead to the Teletubbies Hills tourist destination. But it’s still sad and a big loss. 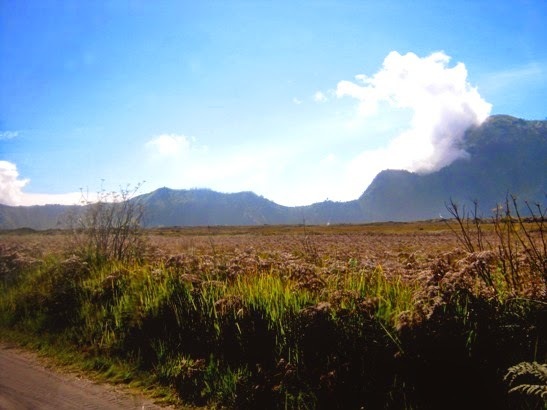 Dry grass and ferns because of dry season, and strong wind make ​​the fire spreads fast and hard to be conquered. 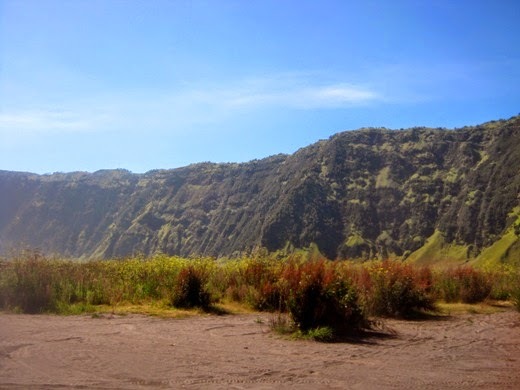 The landscape condition with cliffs as high as 300 meters add the difficulties. Fires in savanna field (total area 1,688 hectares) occur almost every year during the dry season, although the warning signs that prohibit carelessly throwing cigarette butts and making bonfires already installed. The main cause of the fire in this location is always human mistake. Until now, the officers of the National Park, military, police, volunteers, and the community are still struggling to extinguish the fire. A great serie for SWF! I live in Colorado where we have also had devastating fires the last two years that were also caused by human carelessness. I hope they get under control soon. Thanks for sharing. Sorry to hear about the fires, and hope they are under control soon! Nice photos. I hope the fires get under control soon. Wonderful photos Lina, marvelous scenery! I hope the fires can be extinguished quickly. They can be so devastating. Nice scenery,hope to be there one of this days. Very interesting your colorful landscapes Savanna! Beautiful photos! That is terrible ! Such a beautiful landscape ! Beautifully! Hope the fire was put out! Great shots of the savanna. I too hope the fires are under control soon… such a beautiful place.